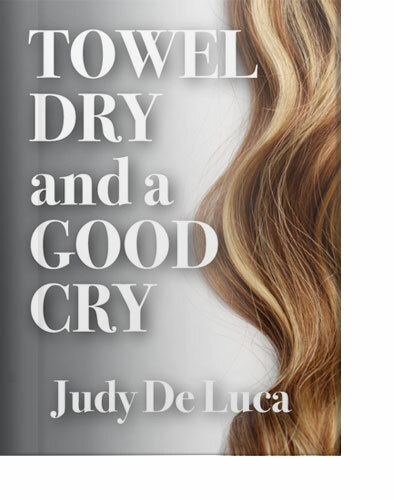 I set the time of my ebook, Towel Dry and a Good Cry, in the late seventies and early eighties because it was a crazy time for hair and I was a working hairdresser through it all! In this scene, Josie, the main character, attends the New York International Hair Show. There she learns all the newest trends, including the latest rage in haircutting, the Bi-level aka the Mullet. 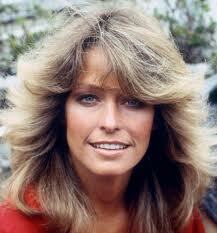 Until this new trend women wore their hair in the Farrah, long, full, permed and feathered back. I had to make a split-second decision. I thought it would be crazy and fun. An assistant escorted me to a private area. Lots of models were running around in their underwear trying to find what they were supposed to be wearing. Makeup artists were applying, and assistants were washing colors out and blow drying. I was caped, shampooed, and brought up to the stage. “What was your name again, darling?” he whispered. This entry was posted in beauty, Blog, Book about hairdressing, Books, Cosmetology kindle book, Hair, Hair Trends, Hair/Beauty, Hairstyles of the 80's, Reading Suggestions, The 80's, The Beauty Industry, Triva and tagged From the Farrah haircut to the bi-level mullet haircut, Haircuts of the early eighties, Haircuts of the seventies, the bi-level haircut, The Farrah haircut, The hair of the early eighties, the mullet haircut, Towel Dry and a Good Cry, What came after the Farrah haircut by judydeluca. Bookmark the permalink.